In the gospel of John, Jesus says, “A new commandment I give to you, that you love one another, even as I have loved you, that you also love one another. (John 13:34) If we honestly look at our lives, we realize how often we have rejected God’s love. We may have rejected this love because we are afraid of being labeled as a Christian. We may have rejected this love because we afraid that God’s love might create a desire in us to transform our love. We may rejected this love because we felt unworthy of this love. Whatever the reason, God loves us. Likewise, we may have been afraid of loving others unconditionally the God loves us. 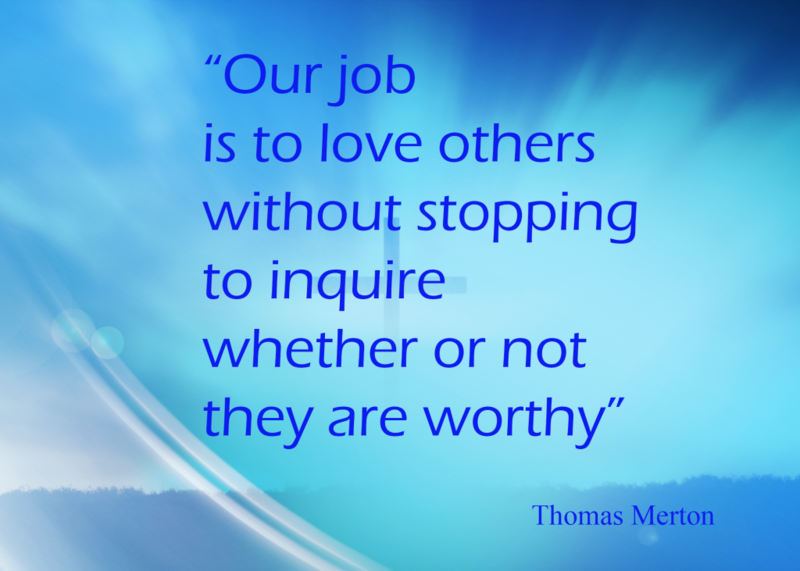 We may think the person unworthy because of the way they have treated us. We might be afraid sharing that kind of love might transform our lives. We might be afraid of being see as weak and vulnerable. Regardless, God expects us to love unconditionally. Sometimes, when we love, we allow ourselves to become vulnerable, but never weak. Love always opens the door for us getting hurt. It is only through strength can we love. Love is always transformative, it is impossible to avoid. Through love, we open ourselves to new experiences that cannot but change us. Sometimes these changes our painful. Sometimes they are not. Often, they make us better human beings. Because love cannot be forced upon someone, it can be rejected. Some forms of love, when rejected, can be heart breaking. Many writers have suggested that when Christ said on the cross, “I am thirsty” (John 19:28-29), Jesus was reflecting on how many people would reject His love. His wish for them to receive his love was so great, his wish became an unsatisfiable need. Imagine dying for someone who doesn’t even recognize your sacrifice. Most of us are not called to lay down our lives for another. But we are called to love. Who in your life are you called to love today? Often we are either too afraid to share our faith or are too eager to share our faith with someone. We don’t need to force ourselves to share our faith, nor should we force our faith on others. When we love and respect the other person for who they are, show them that we truly care for them as a child of God, the conversation will drift to faith naturally and comfortably.